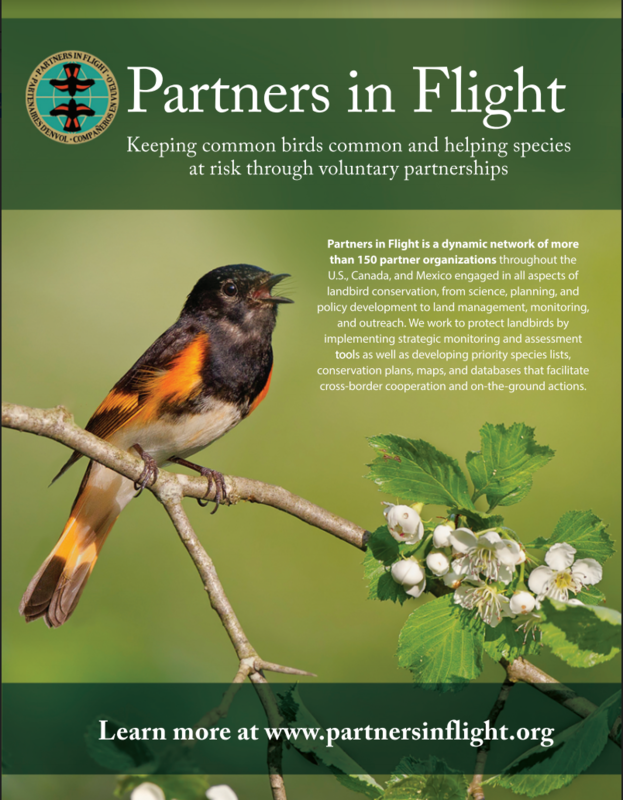 From 2014 to 2016, representatives from government agencies, universities, and conservation organizations in every Central American country participated in a series of three workshops to assess the conservation vulnerability of nearly 1,200 bird species. Using the same species assessment process as PIF used in the U.S. and Canada, experts ranked the vulnerability of each species based on their distribution, estimated population size, threats, and population trend. 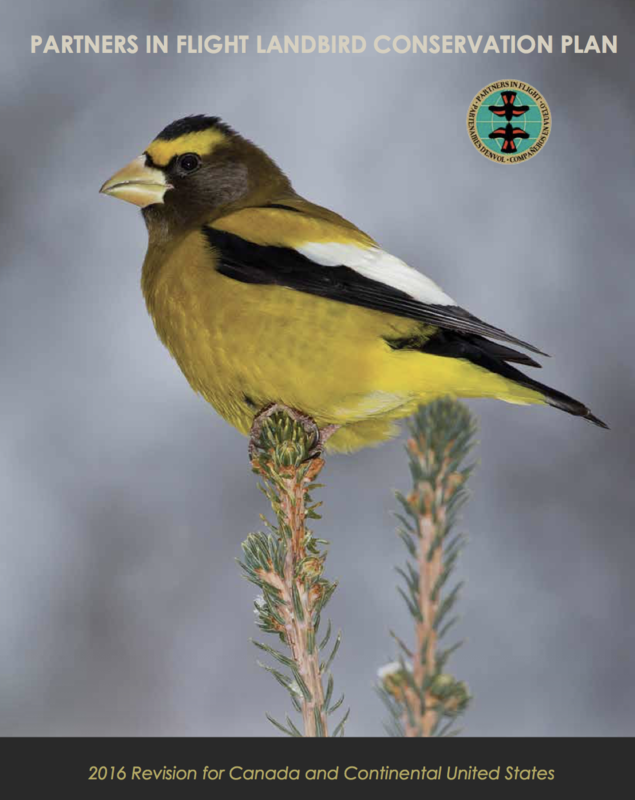 The resulting scores are incorporated in the Avian Conservation Assessment Database. Because long-term data on Central American bird populations doesn’t exist, the assessment relied heavily on expert knowledge and published accounts of species status, changes in habitat availability, and regional threats, as well as rapidly accumulating observations in eBird. Participants at the first Central American Species Assessment workshop at Las Cruces Biological Station, San Vito, Costa Rica, 23-29 March 2014. 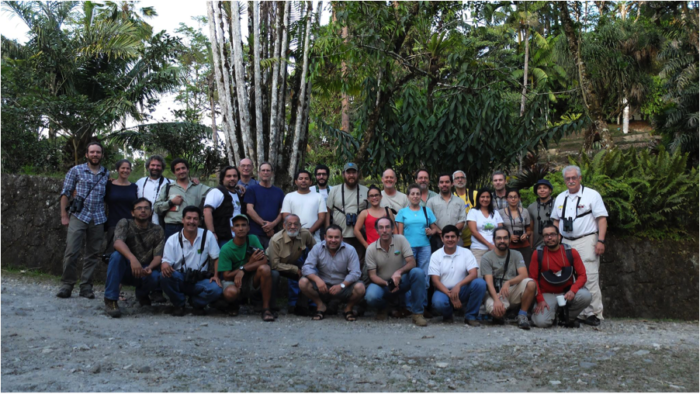 The three workshops, held at San Vito, Costa Rica (March 2014), Ciudad del Saber, Panamá (March 2015), and Reserva Silvestre Privada El Jaguar, Jinotega, Nicaragua (February 2016), were attended by more than 50 participants representing all seven Central American countries (see list below). The process was facilitated by Bird Conservancy of the Rockies, Universidad Zamorano, Comisión Nacional de Uso y Conocimiento de la Biodiversidad (CONABIO), and Cornell Lab of Ornithology, with funding support from Environment and Climate Change Canada, Missouri Department of Conservation, Southern Wings, and the US Geological Survey. Several participants have been long-time collaborators with PIF as part of the Mesoamerican PIF Working Group. 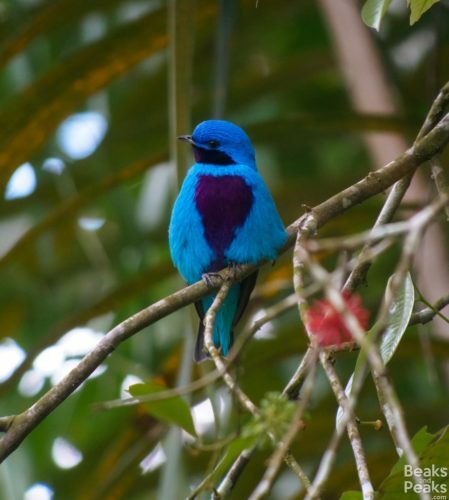 Lovely Cotinga is a species endemic to Central America that is highly threatened by the loss of lowland tropical forest. © William Orellana/Macaulay Library, Cornell Lab of Ornithology. At the third workshop, the group elected two Central American Assessment Coordinators; Alejandra Martínez Salinas (Centro Agronómico Tropical de Investigación y Enseñanza – CATIE) and Luis Sandoval (Universidad de Costa Rica) (contacts below). Additionally, each country reaffirmed or reassigned country-level coordinators to explore ways of using the assessment to advance conservation planning for all birds in each Central American country. The Central American Species Assessment concluded that more than half of Central American birds—593 species— have shown sharp declines. The population declines are associated with high rates of deforestation, agricultural expansion, and urban growth of the last four decades in Central America. Another major threat identified by the experts is the lack of legal protection and forest rangers in many natural areas of the isthmus. “The results we generated appear to indicate that, overall, bird populations are more vulnerable in Central America compared to Mexico and North America. Of highest concern are large birds of prey, such as the Harpy Eagle, other birds of the lowland tropical forests that are being rapidly deforested, and also the birds of cloud forests that are vulnerable to the effects of climate change,” said Oliver Komar, Professor of Natural Resources at the Zamorano University in Honduras. Efraín Castillejos Castellanos México Pronatura A.C.
Jesse Fagan Perú Field Guides Inc.